In Georgia, when a person dies without a valid will, certain heirs to his estate are entitled to claim funds from his bank account upon presentation of a duly sworn small estate affidavit. Claiming a bank account where the decedent’s heirs are not listed as joint bank account holders with the decedent is a relatively simple process. Small estate affidavits can be executed to avoid filing for letters of administration in a probate court. Generally, there is only one situation in which a small estate affidavit will suffice in lieu of a formal filing for administration of an estate, or probate. Specifically, Georgia allows for the transfer of a bank account to an heir at law when the account balance does not exceed $10,000. If the funds on deposit with the financial institution are held in a joint account, the other account holder is entitled to ownership of the funds and, as such, the funds may not be released without filing letters of administration for probate. 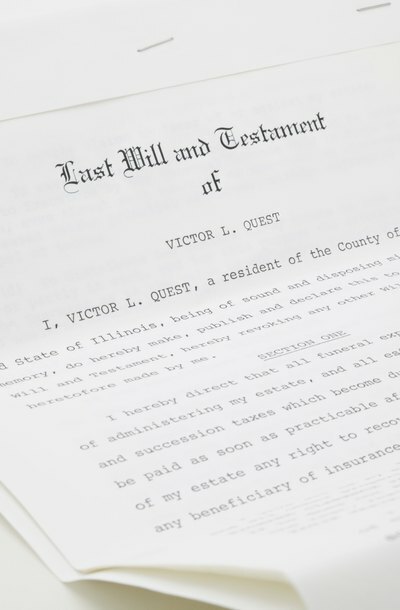 A small estate affidavit can only be used by certain heirs at law. These are the surviving spouse of the decedent and, if there is no surviving spouse, the children of the decedent on a pro rata, or proportional, basis. If there are no surviving children, the mother and father of the decedent may file affidavits on a pro rata basis and receive the funds on deposit with the financial institution. If none of these heirs exist, the decedent’s brother or sister may apply for release of the funds. Georgia allows partial avoidance of probate when a decedent dies intestate, or without a will, and his bank account exceeds $10,000; however, the funds released by the financial institution must be used to directly pay for funeral expenses or final medical expenses incurred during the life of the decedent if a claim for these funds has not been made by a qualified heir at law within 90 days of the decedent's death. A financial institution may allow for release of deposits not to exceed $10,000 in full discharge of its obligations as established by Georgia law. Otherwise, any excess deposits above and beyond the amount of $10,000 are still subject to probate. Another situation where probate is not required, regardless of the size of the estate, is when all heirs to an intestate estate agree in writing to avoid probate. In that scenario, all creditors must either have been paid in full or not filed an objection to the agreement to avoid probate after having received proper legal notice.